Tickets are now on sale for the 3rd Biennial Bate Bay Surf Club Ball at Doltone House Sylvania on Friday 3 May 2019 from 6:30pm. 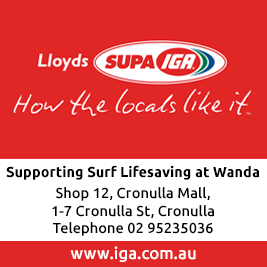 All members are invited to attend and celebrate the commitment and achievements of the volunteer lifesavers of the four surf clubs that comprise Bate Bay. Ticket orders and payments, seating arrangements and dietary requirements can be made via the Wanda clubhouse in person or by phone on 9523 4343.